This Portable power source can be your best friend. Have you ever driven a car with a non working lighter socket where you can't hook up your charger and your battery is getting low? Using that phone for gps? 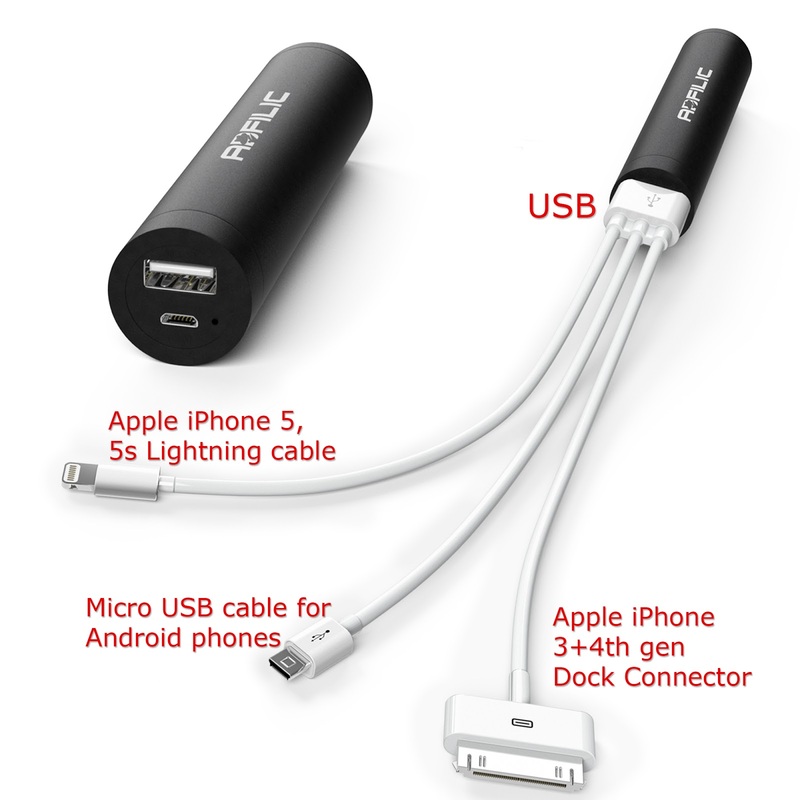 No more trying to hunt down a power source to wait for who knows how long until your phone is recharged. A few years ago the thought of the backup battery had been on many minds but the cost was high and not readily available. Now that has changed and you can get a good backup battery at affordable pricing. I love that I can charge so many of my devices with it and not have to carry all these different cables with me. It is a life saver in car trips and when I am out and about. I hate having to leave my phone on charge at home and make a run to the store. What if something were to happen and I couldn't call for help or the Old Man needed to tell me to pick something else up? I would have no phone and in one case I would feel helpless and the other could cause me an extra trip to the store. This device is about as around as a quarter and as long as a crayon. Compact and light it can easily be carried in your purse or pocket. It provided me with 1 and a half charges for my iPhone 5s. I love that I can also use the cable it came with to charge it as well and I can even charge it from my computer. This device retails for $39.99 but is currently on sale for $19.97 so 50% off so if you are looking for a backup battery I recommend picking this up before the sale ends. 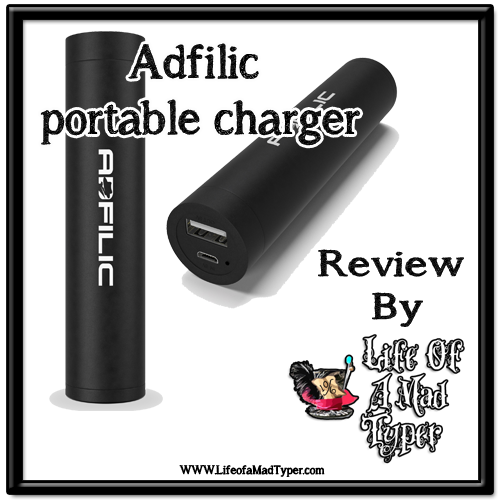 I love my Adfilic portable power bank and I think you will too.